It has become a bit easier for Minnesota employees to blow the whistle against their employers due to a recent decision of the Minnesota Supreme Court. In the case of Friedlander v. Edwards Lifesciences, LLC, et al., the Minnesota Supreme Court eliminated the previous requirement under Minnesota law that in order to establish a claim for a violation of the Minnesota Whistleblower Act, it must be shown that in “blowing the whistle” the employee was acting with the purpose of exposing illegal activity by the employer. The net effect of this judicial ruling may be a relaxation of the proof required of an employee when bringing a lawsuit under the Minnesota Whistleblower Act. The issue before the Minnesota Supreme Court was presented in the form of a certified question from the Minnesota federal district court, seeking guidance on the state of Minnesota law following an amendment in 2013 to the Minnesota Whistleblower Act by the Minnesota legislature. The federal district court certified this question: “Did the 2013 amendment to the Minnesota Whistleblower Act defining the term ‘good faith’ to mean ‘conduct that does not violate section 181.932, subdivision 3’ eliminate the judicially created requirement that the putative whistleblower act with the purpose of ‘exposing an illegality?’” The Minnesota Supreme Court ultimately answered “yes” to that certified question. 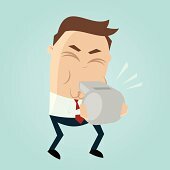 Although the Minnesota Whistleblower Act has always, since its enactment in 1987, required that the action of an employee in “blowing the whistle” be taken “in good faith,” the statute never defined “good faith” until the 2013 amendment. Through the 2013 amendment, “good faith” reports are now defined as all “conduct that does not violate section 181.932, subdivision 3” of the law. In turn, the cited portion of the statute excludes from protection any report which is knowingly false when made or made with reckless disregard of the truth. In earlier decisions of the Minnesota Supreme Court interpreting pre-2013 versions of the Minnesota Whistleblower Act, the Court interpreted the requirement of “good faith,” in the absence of any definition of that phrase, to require that a “whistleblowing” report be made with the purpose of exposing an illegality. The net effect of the Friedlander decision is to eliminate that requirement. The Friedlander decision by the Minnesota Supreme Court is likely to expand the range of reports that may qualify as “whistleblowing” under the statute, but the full effect of this ruling is yet to be determined. In the 2000 decision of Orbst v. Microtron, the Minnesota Supreme Court ruled that the underlying report by the employee did not fall within protected activity under the Minnesota Whistleblower Act for multiple reasons, including the fact that the source to whom the report had been made (a customer of the employer) had already been aware of the subject matter reported. The Minnesota Supreme Court went on to conclude that “we must . . . also [look] at the reporter’s purpose of blowing the whistle, i.e., to expose an illegality.” Following the Minnesota Supreme Court’s ruling in Friedlander, that no longer appears to be a valid justification for rejecting a whistleblower claim. The Friedlander ruling also raises questions about the continuing vitality of the “job duty exception” recognized by the Minnesota Supreme Court in 2010 in its decision issued in Kidwell v. Sybaritic, Inc. In the Kidwell case, the Court ruled that a report made by a company’s in-house attorney (its general counsel) did not qualify as whistleblowing under the statute, explaining: “[A]n employee cannot be said to have ‘blown the whistle’ when the employee’s report is made because it is the employee’s job to investigate and report wrongdoing.” Given that this requirement is not contained anywhere in the definition of “good faith” in the amended Whistleblower Act, the exception recognized in Kidwell has been called into question and some may argue that the Friedlander ruling eliminated the exception. While it may take some time for the Minnesota courts to resolve the full effect of Friedlander, what is clear is that employers need to continue to pay serious attention to employee “reports” of any type. Employers should carefully analyze all critical employee reports for possible implications under both the Minnesota Whistleblower Act and other possible laws. Whistleblower lawsuits continue to be among the most common types of claims brought by employees. Processes should be in place for dealing with employee “reports” and managers should be trained to not simply reject employer reports out of hand and to be aware when anti-retaliation protections apply. Failure to take such precautions may subject employers to significant legal exposure.